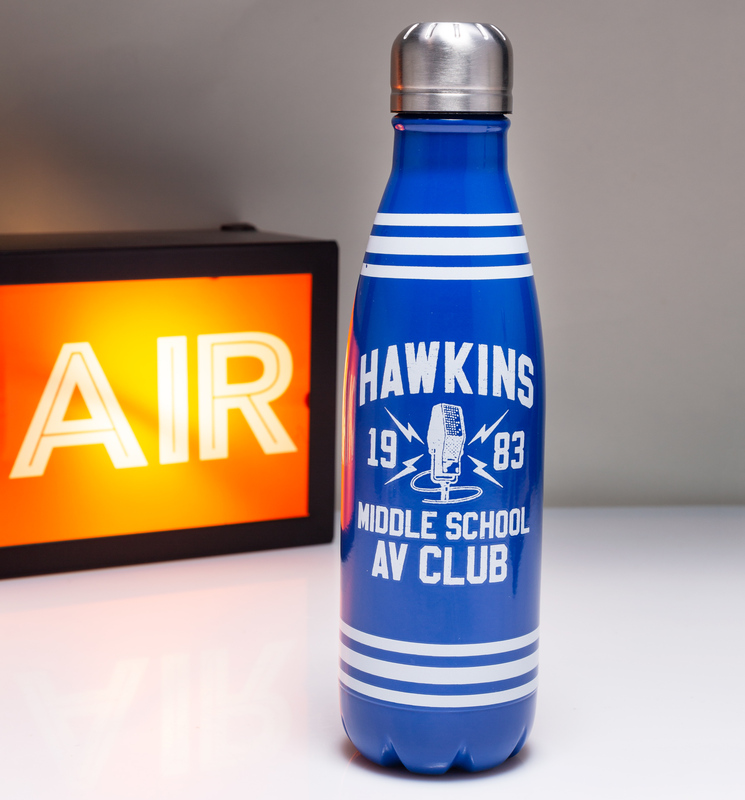 Hawkins Middle School AV Club was Bob Newby's domain. A true audio visual geek, Bob became the hero of series 2 of the cult TV series Stranger Things. Pay homage to the late, great Bob with this awesome stainless steel water bottle. He would definitely of appreciated the importance of a warm brew whilst manning the mic in the studio which became a meeting point for the gang, plotting their next move against Hawkins National Laboratory.